The final countdown has begun with less than 100 days to go until representatives from the 167 member nations of the Paris-based Bureau International des Expositions (BIE) cast their votes on November 27th to decide which city will host the 2020 World Expo. The Dubai Expo 2020 team is now focused on working towards the Theme Symposium in Dubai this October. The Theme Symposium, which will be held by each of the candidate cities, is an opportunity for the UAE to further demonstrate to BIE delegates the global relevance and timeliness of the bid theme, Connecting Minds, Creating the Future. Delegates will have the chance to explore the three subthemes- Mobility, Sustainability and Opportunity – which represent key drivers of global development. The event will also allow delegates to witness and experience first-hand the many unique advantages that the country offers as a potential host nation, including the country’s robust infrastructure, warm hospitality and global connectivity. As a result of the country’s infrastructure and geographical positioning, Dubai Expo 2020 can expect to attract 25 million visitors offering a diverse and exciting international profile. For the first time in the history of World Expo more than 70 per cent of the visitors would stem from beyond the host nation. An Expo in Dubai would take place on the eve of the UAE’s 50th anniversary, starting countrywide celebrations. It would also be the first time that a World Expo is held in the Middle East, Africa and South Asia region, presenting a significant opportunity. 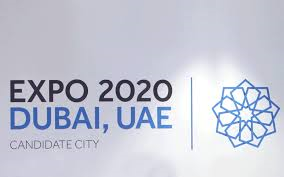 More than 277,000 jobs are forecast to be created by Dubai Expo 2020 and for each one of these an additional 50 jobs are expected to be sustained across the wider region. Dubai Expo 2020 will leave a powerful legacy, both in terms of the Expo site itself and also as an inspiration for future generations. Dubai is competing against three other candidate cities in its bid to host the World Expo in 2020.